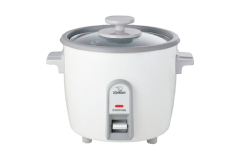 Make delicious rice easily with the Zojirushi rice cooker. With a simple push of a button, you will have perfectly cooked rice in minutes. It's adjustable so you can make white, brown, or sushi rice. Available in 3 sizes there's a size for you whether you need to feed yourself or your entire family. 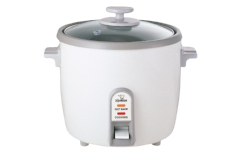 The larger 6 and 10 cup models can be used a steamer with its stainless steel steaming tray and a convenient keep-warm function so rice is ready to serve well after its cooked.